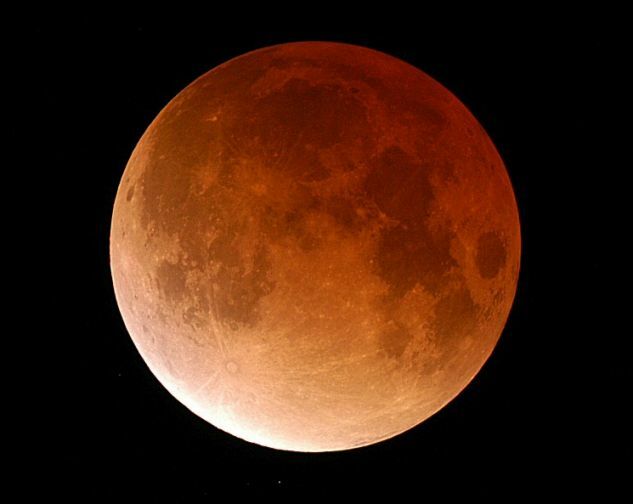 Explanation: November's lunar eclipse was one of the shortest in recent years and also one of the brightest -- demonstrating that the Earth's shadow is not completely dark. 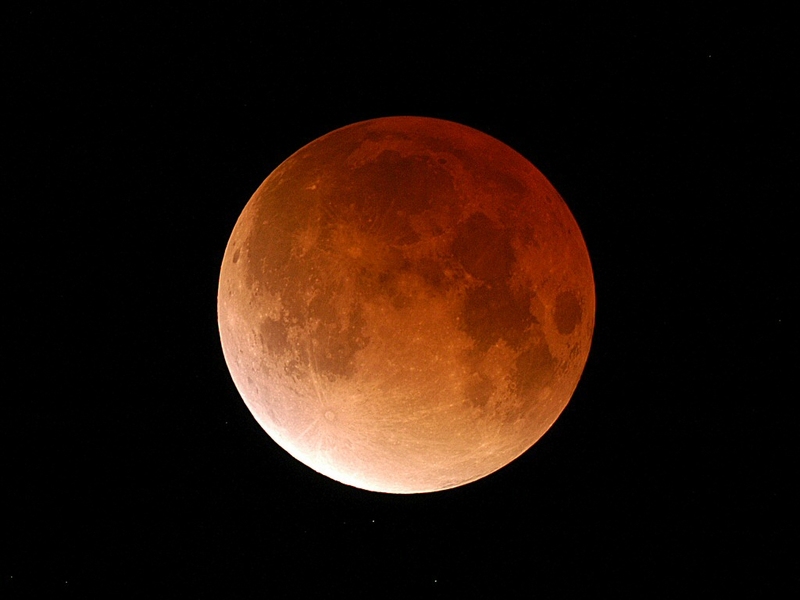 The eclipsed Moon remained easily visible during totality, reflecting reddened light filtering on to its surface from all the sunsets and sunrises, as seen from the lunar perspective, around the edges of a silhouetted Earth. Hoping to view the celestial shadow play from the Earth's night side near Cologne, Germany, about 400,000 kilometers from the lunar surface, amateur astronomer Markus Strassfeld packed a digital camera and telescope and drove about 10 kilometers outside the city to escape the bright city lights. Fortunately, the sky cleared about an hour before the eclipse began and he was able to record this sharp image of sunsets illuminating the totally eclipsed Moon. Young ray crater Tycho, about 85 kilometers across, stands out near the Moon's brighter southern edge.